You're looking at the HTML version of this information. PDF and video versions should be available in the near future. When they are you'll be able to find them on my Diplomacy page. This material covers the basics of Diplomacy, but certainly does not cover all the details of the game. 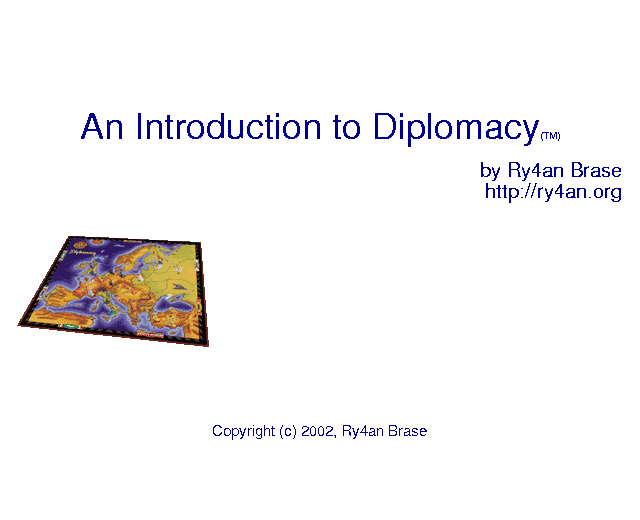 Instead this tutorial simply presents the key concepts of Diplomacy in a format that some people might find more approachable than the Diplomacy rule book. Additional information, including the full rule book, is available online and links are provided at the end of this tutorial.